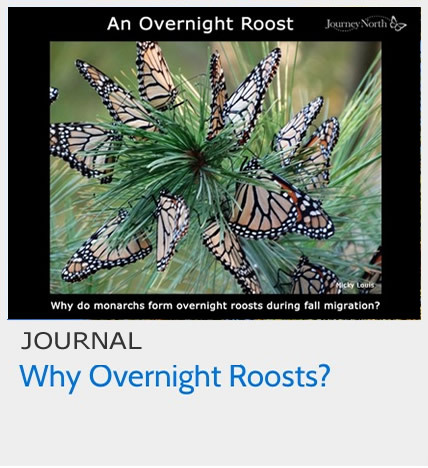 Overnight roosts are a traditional sign of fall migration. What can we learn by studying them? "There are many species of trees in this park so it's interesting how they choose only oak. I love when they flash for another butterfly to join the cluster," reported Darlene Burgess from Leamington, Ontario on August 28th. 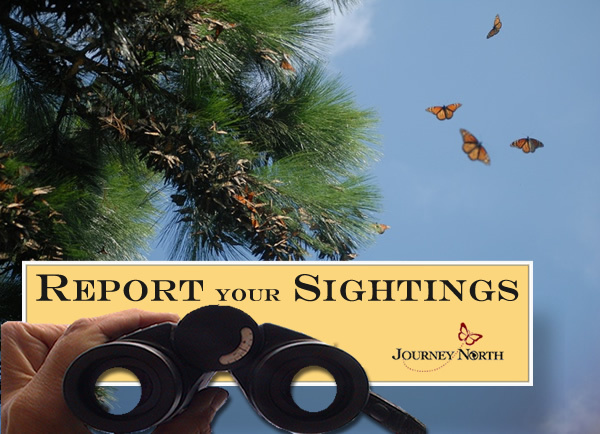 Excitement was in the air this week as observers witnessed clear signs of migration. 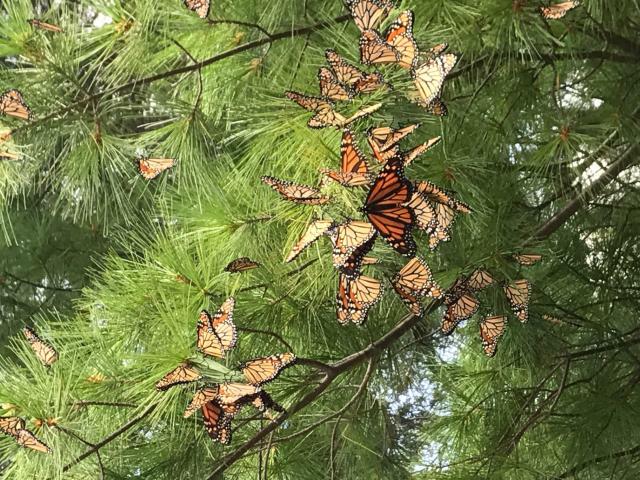 People were reporting monarchs flying by day, stopping to refuel, and roosting for the night. 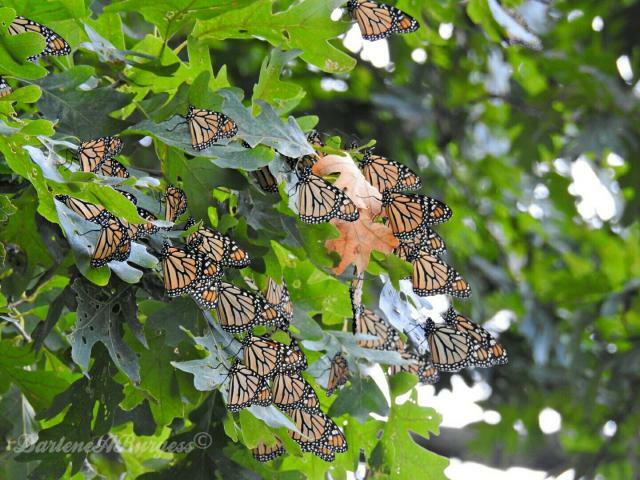 "Hundreds of monarchs were flying over our house from 7 to 7:30 this evening. The first ones were flying strongly south. By about 7:40 pm, they were looking for a place to spend the night," reported Sandi MacKellar from Callander, Ontario on August 28th. As you look at the map, notice where roosting began this week. All sites are in southern Canada and northern U.S. states. Monarchs must get out of the north while nectar is still available and before cold temperatures trap them. Migration begins early in the north; it's only August. 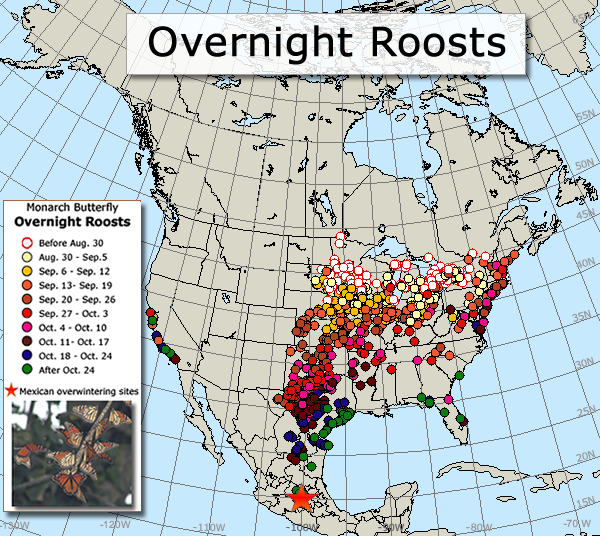 Week by week, roosts show us where large concentrations of monarchs are. Get ready to watch the map reveal the main migration pathways to Mexico and the pace of the migration. Scientists have many questions about fall roosting behavior. 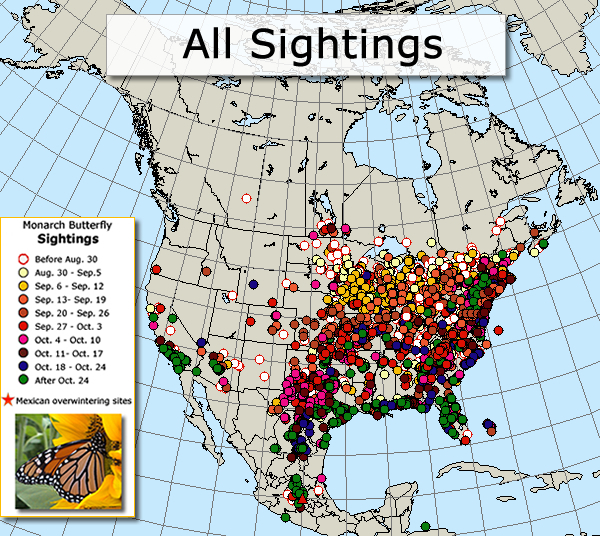 Monarchs migrate alone; why do they gather at night? How do they find one another? 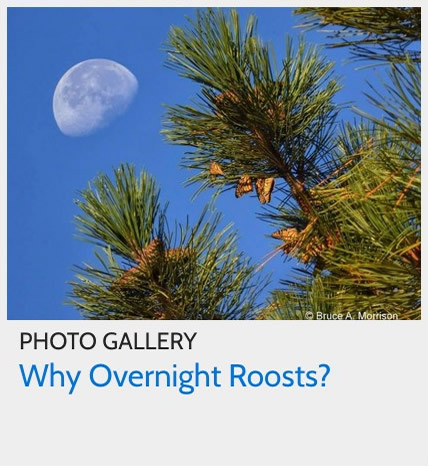 What can we learn by studying overnight roosts?